Preheat oven to 350 °F . In a 9 x 13 inch baking dish spread spaghetti sauce to cover the bottom. Place a layer of eggplant slices in the sauce. Sprinkle with mozzarella and Parmesan cheeses. Repeat with remaining ingredients, ending with the cheeses. Sprinkle basil on top. A vibrant garnet with purple hues. On the nose red and black fruits combine with hints of spice and saddle wood. The rich flavors of blackberry, cherry, and currants are moderated by soft and supple tannins. The well-balanced body is soft and full. The aromas and flavors carry through on the long finish. 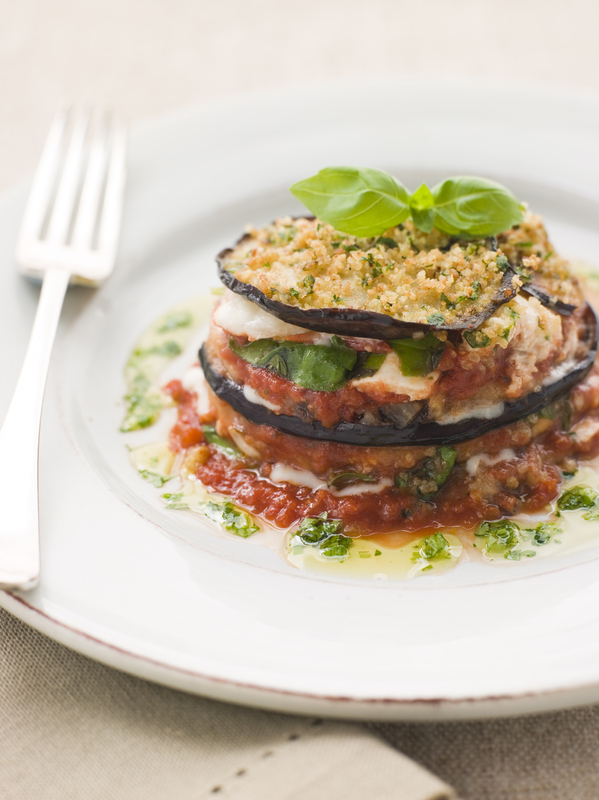 This entry was posted in Recipes and tagged eggplant parmesan, food pairing, italian wine, montepulciano, recipe, sangiovese, syrah, Umbria, umbria italy, villa barbi, wine, wine pairing. Bookmark the permalink.